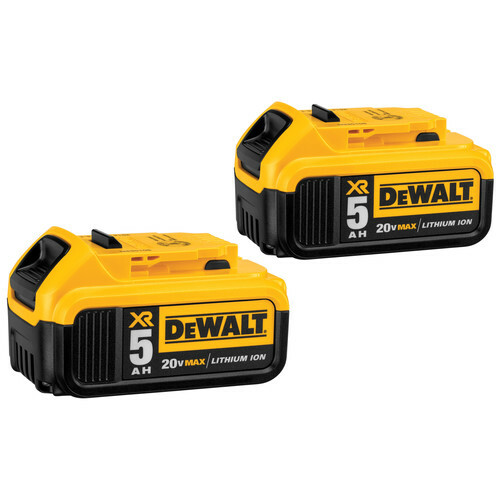 The DEWALT DCK494P2 20V MAX XR Lithium Ion 4-Tool Combo kit features the DCD996 20V MAX XR Premium 3-speed Hammer Drill, the DCS367 20V MAX XR Reciprocating Saw, DCS367 20V MAX XR Brushless Reciprocating Saw, DCL040 20V MAX LED worklight, and (2) DCB205 20V max XR Lithium Ion batteries (5.0Ah). 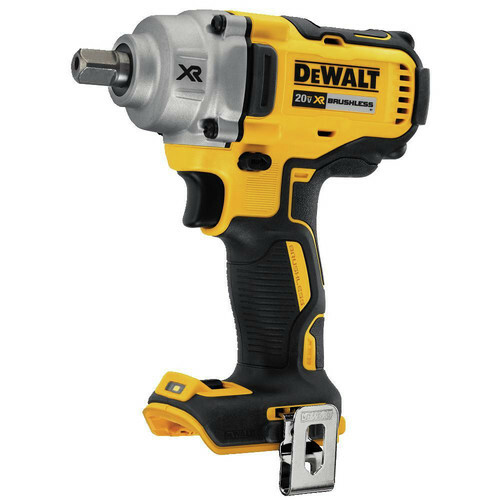 The DCD996 Hammerdrill offers a DEWALT-built high power, high efficiency Brushless motor which delivers up to 75% more run time over brushed. It has a heavy-duty 1/2 in. ratcheting nitro-carburized metal chuck with carbide inserts for superior bit gripping strength. A 3-mode LED provides lighting in dark or confined spaces up to 20x brighter than previous model, with an LED Spotlight mode. The DCS367 Reciprocating saw offers up to 75% more runtime with Brushless motor. A 4-position blade clamp allows for flush cutting and versatility - and the compact and lightweight design allows tool to fit between 16 in. (40.6 cm) on center studs and in tight spaces. The DCF887 one-handed loading 1/4 in. hex chuck with easy grip sleeve, accepts 1 in. bit tips. It features precision drive in speed 1 for precision applications and added control 3-speed settings for optimized application versatility. It is compact and lightweight. The DCL040 offers a bright LED output - 110 lumens, with a head that rotates 120 degrees, and an integrated hang hook for hands-free use in multiple placements. I bought this kit a few months ago and I absolutely love it! This kit gives you a little bit of everything,the impact driver is a must have very versatile tool, the drill is amazing,the sawzall is amazing and powerful for being compact ,and the flashlight is very bright for being small..only downside is you should have included a bigger battery for the reciprocating saw.. a 4.ah would have done the job the little 2 ah drains quickly and gets hot very quick. I love my DEWALT set,you have a loyal customer forever. My tool collection will only grow in time,time to get more tools for my 20v line,brushless of course! Switched from 18v to 20 and love them very light and more compact and powerful !